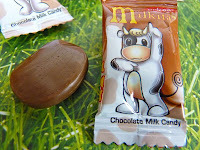 Today was Day #1 of Chocolate Cow Theme Week. It's only fair that cows get their due. 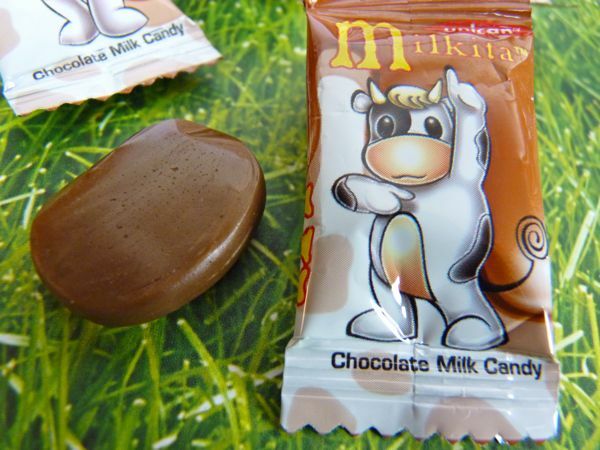 They do supply milk for milk chocolate, and chocolate milk. And images of cows grace countless ads and marketing materials. 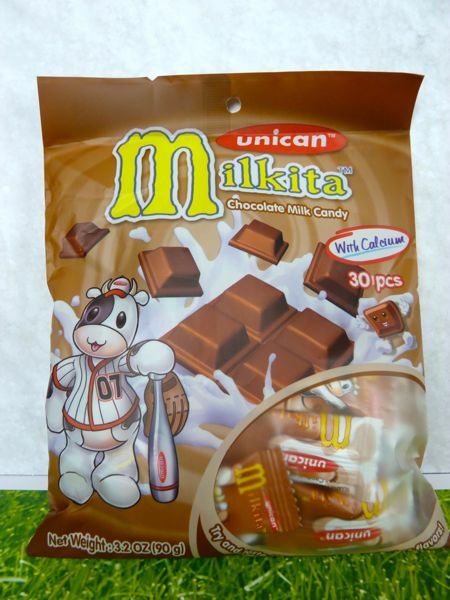 Today's Milkita Chocolate Milk Candy wrappers were decorated with cows in several different positions -- the cow on the outer packaging appeared in baseball uniform (#07) with a bat. Some cows were lounging, others appeared to be celebrating a happy occasion. Another set appeared to be playing with a red water balloon (?). Very cute, even if I didn't understand all the different cow poses. Inside these wrappers: smooth, oval-shaped, candy lozenges (different shape than the squares in the outer wrapper illustration). These candies were chewable, as long as I bit down and up with care, so as not to pull a filling out in my tooth.